Ukrainian border guards at the International Airport in Kharkiv identified and detained a citizen of Israel, who is on the international wanted list for committing a criminal offense in Poland. "The Interpol database reacted to a 58-year-old man. It turned out that he was wanted for fraud in commerce, banking and financial fraud," the press service of the State Border Guard Service of Ukraine said. 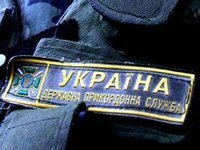 Border guards detained the man and informed the representatives of the National Police of Ukraine.